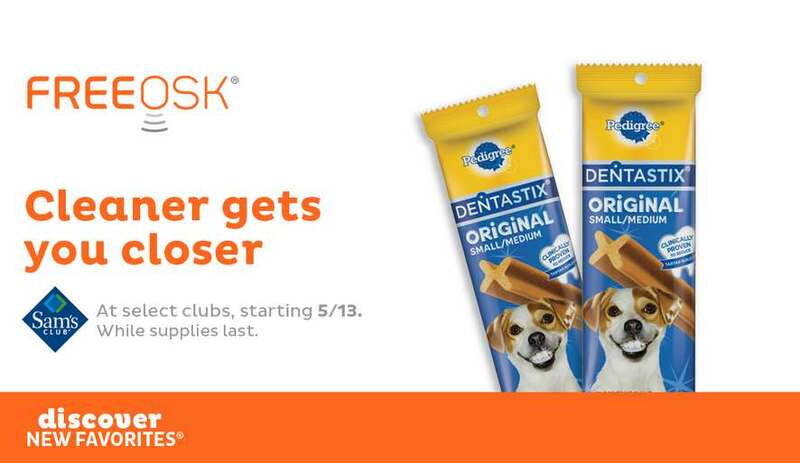 Stop by the Freeosk this week and fetch your FREE Pedigree Dentastix oral care dog treat. Your best friend will love the chewy texture and tasty flavor, and you’ll love his better breath. Cleaner gets you closer! Grab one from May 13, while supplies last. Learn where your closest Freeosk is located by visiting our Find a Freeosk page! Find out more at Sam’s Club.